10 meter home with heaps of room. 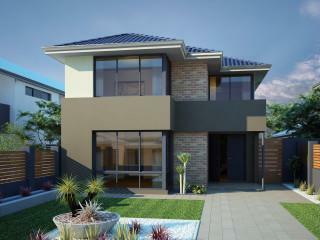 Master suite, office theatre and open plan living leading to alfresco and rear garage. Upstairs sitting with balcony and three bedrooms. Perfect for the entertainer. 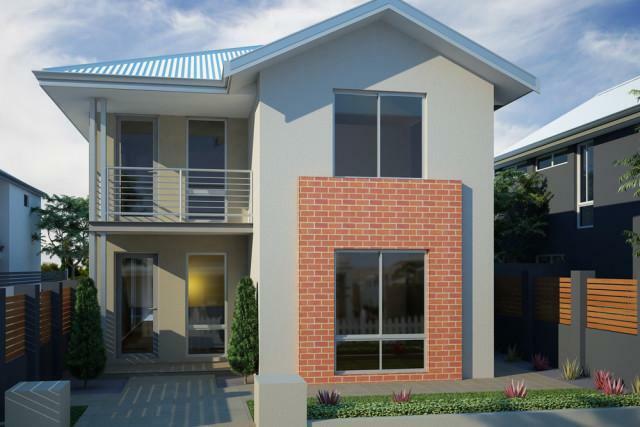 Have you ever wondered how you can get a nicely sized home on to a narrow block? Well The Davis is a perfect example of intuitive design that includes the stunning elevation that you’ll love coming home too. 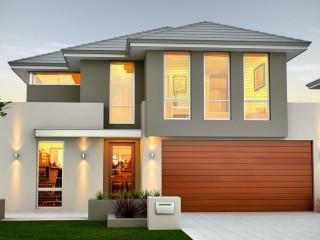 It’s a contemporary home with sizeable alfresco and no compromise on the living space. 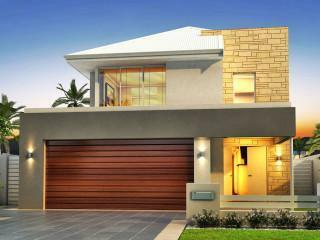 4 bedroom 2 bathroom home with office, theatre and open plan living leading to alfresco down stairs and rear garage. Three of the bedrooms are upstairs with an activity space. Separate zones work well. Absolutely stunning. The rest of the street will be swept up in jealousy as your impressive modern elevation looks over the neighbourhood. The carved in stone limestone wall is the feature of the elevation, with the open plan living space leading out to the sizeable alfresco being the entertainers’ dream!